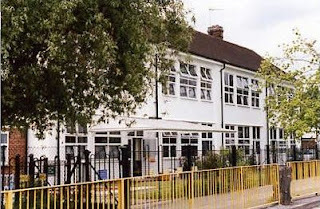 Nonsuch Primary School (In Chadacre Road, just round the corner in Stoneleigh) is looking for people interested in becoming School Governors. Having become one myself back in 2011 (at this school) I can say from personal experience that it is very rewarding to be able to make a genuine difference to the quality of education being provided to young people in the local area. "The most important qualities for being a governor are enthusiasm, commitment and an interest in education. You don't need teaching experience, but it's useful to bring skills from other areas of your life." An interest in the performance of our school. A desire to contribute and represent the community. Human Resources skills that would complement the governing body. Governors really need to be a 'Critical Friend' to the school and work with the head teacher to help shape policy and support the school in navigating the path to being the best possible school it can be. It doesn't mean spending hours at the school every week - it is a voluntary position and it's expected that governors have other occupations and families. A little spare time for an evening meeting about once a month and to read the necessary papers, plus occasional school visits during the day when you can is basically all that is required of your time. Knowing that you are part of a team helping ensure that local children are getting the best education possible is a great feeling. At Nonsuch we have had a great team of Governors for quite a while (since I've been there certainly) but we have recently had a few step down and are now looking for some more. Governors will need to be CRB checked but the school will help organise this. If all this sounds like you, or for further information, please contact the School Bursar on 0208 393 9209.